UNIQUE LUXURY DESIGN! 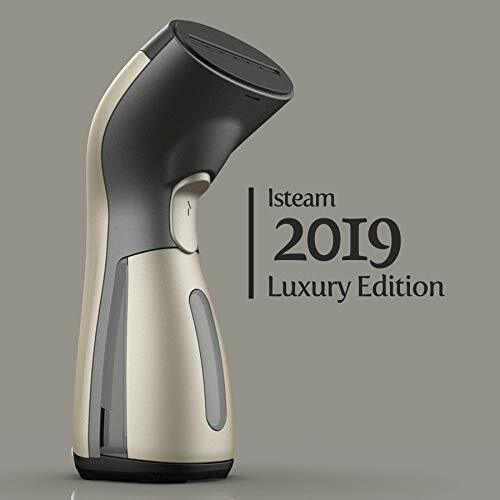 FULL STEAM AHEAD – No wrinkle is too tough for the 2019 Luxury Edition iSteam! Its ready-to-go water tank heats in 25 seconds and powers 10 continuous minutes of smoothing steam. Gently iron all your clothes, curtains, sheets, and more! Plus, stay dry and safe thanks to the upgraded Spill-Proof Technology and Automatic Safety Shutdown System! POWERFUL & PORTABLE – Don’t let tricky creases and wrinkles ruin your trips! 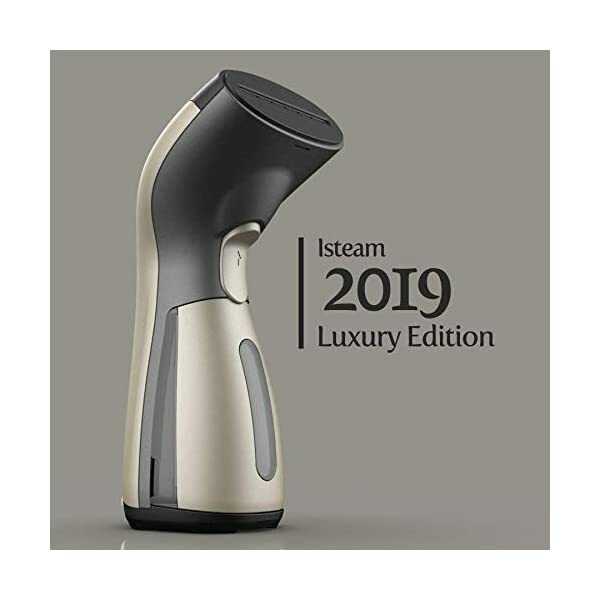 Your Luxury Limited Edition iSteam is strong enough to power through every wrinkle but small enough to easily stash in your luggage and impress your friends and family with its stunning Luxury-look design, unique in the market! Not only is it feather light, but it’s also packed with features like a Nano Polymer Filter that purifies water and prevents calcification inside the tank.